Curriculum for Excellence is designed to achieve a transformation in education in Scotland by providing a coherent, more flexible and enriched curriculum from 3 to 18. 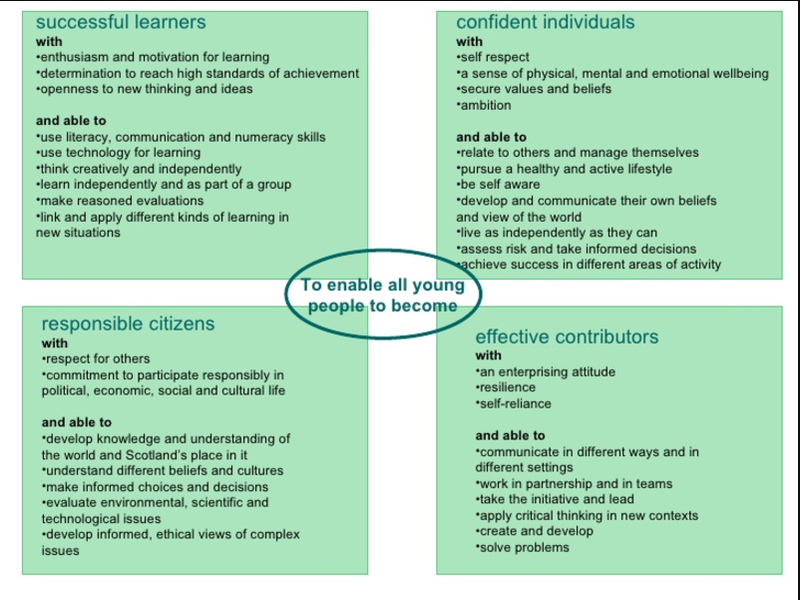 The term curriculum is understood to mean – everything that is planned for children and young people throughout their education, not just what happens in the classroom. We follow the Highland Council Learning Policy. As part of our curriculum and to celebrate the diversity of our school community we would love to hear from you if you are able to help support our learning, extend our knowledge of different cultures and develop new skills. If you are a local business can you offer opportunities to help our pupils develop their skills for learning, life and work? This might be through coming to talk to us or perhaps having children visit your business. Please contact Mrs Fraser to discuss.